If you have an emergency, please call 734-936-6267 and ask for the ophthalmologist on call. You also may go directly to the U-M Emergency Room (See map (link is external) - emergency rooms on this map are marked with a red cross). With our primary location in Ann Arbor, we have nine community clinics to serve patients in surrounding communities. 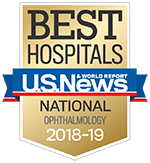 View a map of all Kellogg Eye Center locations. Monday - Thursday: 7:00a.m. - 7:00p.m. The locations on this page are related to the U-M Kellogg Eye Center. For other University of Michigan hospitals, clinics, and centers, visit the main Locations page on UofMHealth.org.